By now, I'm sure you've seen the photograph that Senator Mike Lee posted on his Facebook page. It shows the mountain of rules and regulations that were instituted by the multitude of unelected bureaucrats that call Washington, D.C. their home. 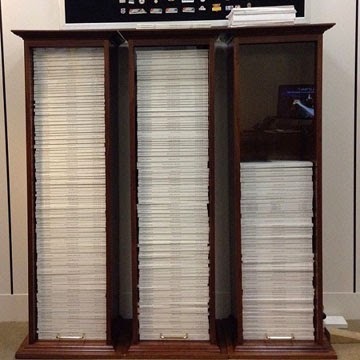 I decided to take a look at just what comprised this absurd number of regulations. I found a link that provided an index for the 2013 Federal Register; a description and a count for the number of articles for each government agency in the 2013 Index. These articles, in turn, listed the rules, proposed rules, notices, and regulations pertaining to each agency. For instance, the Agriculture Department had 1083 articles recorded; the Commerce Department, 2541; the Defense Department, 1006; the Energy Department, 2164; and the Health and Human Services Department, 3971. One can click on any of these bloated agencies and see all the rules and regulations associated with them. When you actually start digging into these proposals, you find that many of them are requests for public comments; or a change to a noncompliance regulation; or a rule for additional information gathering on the "Dairy Tariff-Rate Import Quota Licensing Program" of the Foreign Agriculture Service. Is it any wonder that the American people are screaming for less government? How much of the taxpayer's hard-earned money is squandered paying some inflated bureaucrat to create a new regulation for a trumped up bureau or agency? As if you need a picture of the absolute insanity of this situation, consider this: our U.S. Constitution, which outlines all the laws and regulations to run this country, only consists of 6 large parchment pages. The Bible, which regulates our moral and spiritual lives, according to God, is usually around 1200 pages. Even more ludicrous, is the pathetic number of pages at the top of the photo that represent the actual work that our elected officials accomplished for us in 2013. Does anyone else think these images are upside down? When an elected government accomplishes nothing for the people, while "hired paper pushers" bury us in redundant and excessive regulations, then our system is mired in a nonproductive cesspool of self-serving sycophants. Except for a very few men, it appears as if our seat of government is a modern-day rendition of Rome/Babylon. No one is minding the store for the American people. I know it is rather repetitive and a cliché, but it is time that we clean out the rat's nest. I heard some statistic the other day, that there are more millionaires in Congress than at any other time in our nation's history. They have clearly lined their pockets at our expense. So besides claiming the distinction of being the most unproductive and the most unpopular Congress in our history, they are now also the richest. There is something wrong with our political system when the common man cannot afford to be elected; when it takes a rich man to run for office, and he becomes richer upon taking office. But as Senator Lee has so pointedly shown us in his Facebook image, whether elected or not, Washington D.C. is not doing the people's business. How long can we continue to survive as a nation with this kind of waste and abuse? Luke 16:15 "And he said to them, “You are those who justify yourselves before men, but God knows your hearts. For what is exalted among men is an abomination in the sight of God."